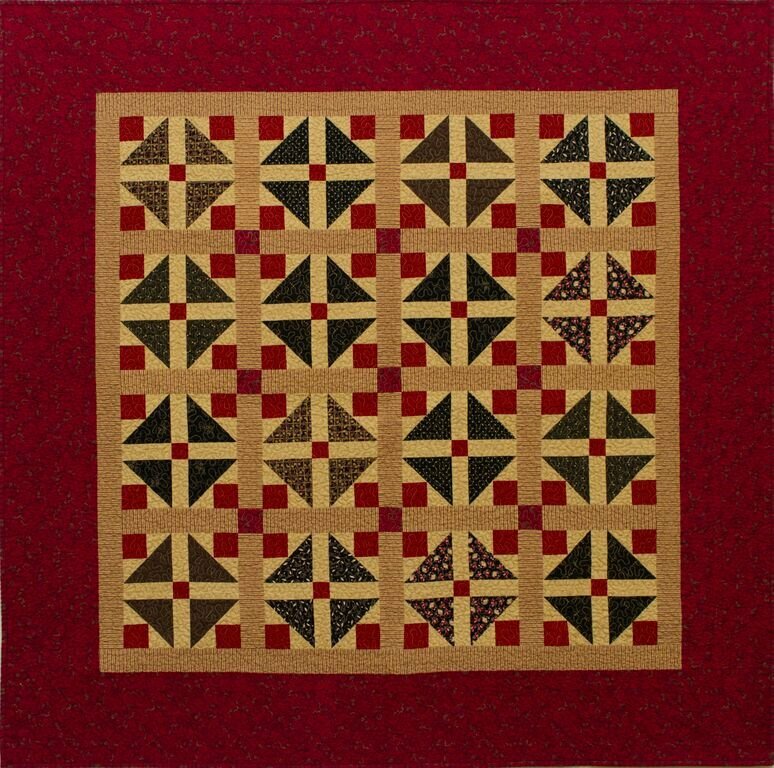 Named after the creator of "Coca Cola", Pemberton is a red, black and caramel colored wall or table top quilt. Approx. 48" x 48.